Duke Energy Progress, in cooperation with CB&I, is hosting a vendor event to connect suppliers of various goods and services with the Asheville combined-cycle natural gas plant project in Arden, N.C.
Who: Suppliers of goods and services that could benefit the Asheville combined-cycle project, Duke Energy and CB&I. Vendors and subcontractors must have an excellent safety record, technical and commercial expertise and quality references. Civil site preparation, e.g., earthwork, dirt movement, leveling land, vegetation removal, etc. Times: The event will include three targeted sessions, a presentation and a networking opportunity for each session. Supply chain experts from CB&I and Duke Energy will be available to answer questions. Light refreshments will be served. For questions about the event, contact Clay Parker at clay.parker@duke-energy.com or 828.258.6304. To provide goods or services to the Asheville project, go to www.cbi.com/suppliers. In an effort to help organizations become "crisis ready," a Western Carolina University professor and consultant will offer a one-day workshop on Crisis Communication Planning and Response: How to Communicate Before, During and After a Crisis at WCU at Biltmore Park in Asheville on Friday, April 7, 2017. Dr. Betty Farmer, professor of communication and public relations and owner of Farmer Communications, developed the workshop in response to research that reveals many organizations are not adequately prepared to respond quickly and effectively when a crisis hits. "Crises are everywhere. The question is not if, but when a crisis is going to happen. Moreover, social media have dramatically changed the crisis communication landscape. Whereas organizations used to have a few hours to respond, the expectation now is for an immediate response. If the organization does not have a crisis communication plan (CCP) already in place, responding quickly and effectively is incredibly challenging," Farmer said. Not only do organizations need to develop CCPs, they also need to keep them updated. "One of the unsettling findings in my research is that many organizations have crisis communication plans, but they do not keep them up-to-date. This may mean that those organizations have a false sense of security. If organizations have not integrated social media strategy into their crisis plan, they are not ready," Farmer said. 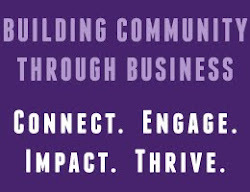 Although the workshop is part of WCU's new Event Planning Certificate Program (http://www.wcu.edu/engage/community-resources/profdev/Event-Planning/index.aspx) individuals from all types of organizations are invited because all experience crises. For example, manufacturers experience serious accidents and product recalls. Restaurants reel from outbreaks of foodborne illnesses. Educational institutions and entertainment venues deal with deadly shootings. Government and business leaders commit crimes and/or act unethically. Natural disasters occur unexpectedly and wreak havoc on all types of organizations. When such disasters strike, the stakes for organizations are high. “How organizations/individuals communicate before, during and after a crisis can have a profound impact on reputation and brand, community relations, customer loyalty, and the bottom line," Farmer said. The daylong workshop will run from 9 a.m. to 4 p.m., and will cover principles of effective crisis communication, expectations for leaders, guidelines for managing social media and elements of a basic CCP. Case study examples will be used throughout to illuminate key principles. Attendees are also encouraged to bring laptop computers (at least one per team) to the session. Attendees who already have a CCP are invited to bring their plans for sharing, refining, updating, etc. Farmer is an award-winning professor of communication specializing in public relations, crisis communication and communication skills training. She formed Farmer Communications in 2016 to address the need for such services in Western North Carolina, both in the for-profit and non-profit communities. Farmer holds the Ph.D. in Communication with emphases in public relations and organizational communication and a Master’s in Journalism, both from the University of Tennessee, Knoxville. She has provided communication training for a wide variety of individuals hailing from government, education, business and non-profits. Since 1993, she has directed her students in completing hundreds of public relations projects, including crisis communication plans, for community clients. For more information or to register for the workshop, call 828-227-7397 or go to pdp.wcu.edu.